This is a favorite Rosh Hashanah dish of Moroccan Jews. The tangy flavor of pomegranates infuses the sauce for the chicken. Recipe reprinted with permission from Everyday Cooking for the Jewish Home by Ethel G. Hofman (HarperCollins). Place chicken in a shallow baking dish. Drizzle any remaining oil over chicken. Bake in preheated oven for 45 minutes, basting several times with pan juices until skin is browned and juices run clear when a thigh is pierced at thickest part with a fork. 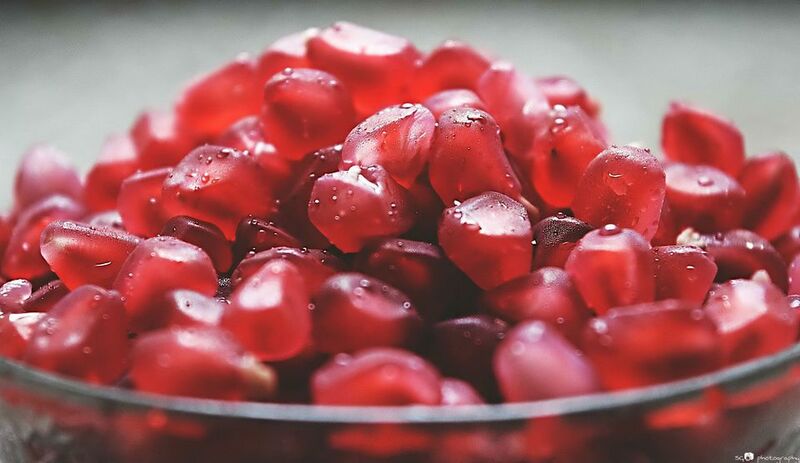 Remove 1 tablespoon seeds from pomegranates. Set aside for garnish. Squeeze juice from remaining pomegranate through a sieve into a small bowl. In a small nonreactive saucepan, mix pomegranate juice, wine, lemon juice, and cinnamon sugar. Bring to a boil over high heat. Reduce heat to low and cook 5 minutes. Season sauce with salt and pepper to taste.